Produced by the The National Film Board of Canada in collaboration with the Canadian Race Relations Foundation. The Faith Project intimately observes the rituals of seven young Canadians from different faith traditions. Each of the project’s subjects allowed the creative team access to their personal practice and expressions of faith. The user’s experience is enriched by the website and app’s capacity to expand on these practices within a Canadian context. And while shuttling between the project’s short portraits one observes striking commonalities between different traditions. These articulate, busy young Canadians weave faith into their daily lives not as an obligation but as something that is essential to their identity and place in the world. This immersive experience will captivate and enlighten people of all faiths, and perhaps provide a deeper understanding to those seeking their own personal form of spiritual expression. The full-screen experience of this interactive iPad documentary allows users to immerse themselves and search—as the practitioners do—for a contemplative orientation in a noisy world. 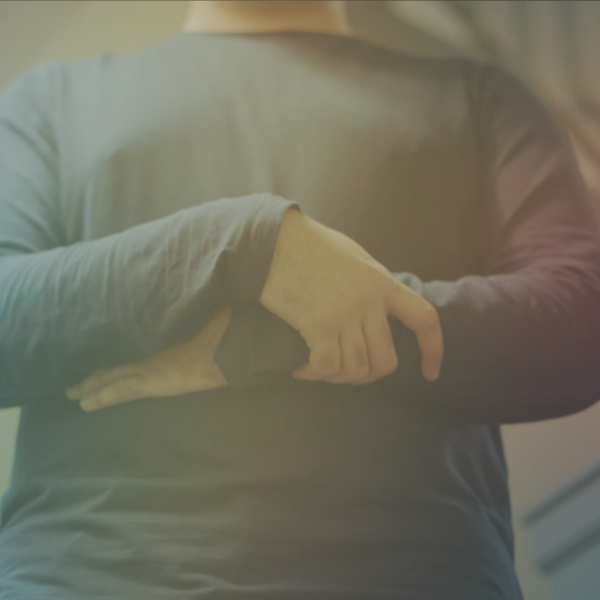 Through a variety of novel interactions, viewers participate in tactile, physical ways in the rituals they observe on-screen. And interactive hotspots throughout the films allow viewers to learn about the symbolism behind each religion’s rituals. Ivana Yellowback is a student and youth mentor in Winnipeg, Manitoba. As a Cree woman living in the city and away from her land, she struggles to maintain her spiritual identity. Knowing that other Aboriginal youth struggle as she does, she helps them find balance by re-engaging with traditional practices that have been suppressed for centuries. Ivana is one of approximately 7,000 Manitobans who practice traditional Aboriginal spirituality. Across Canada, approximately 65,000 people practice traditional Aboriginal spirituality. They represent 4.5% of Canada’s Aboriginal population of 1.4 million, which also includes practitioners of other faiths. Aboriginals make up about 4% of the Canadian population. 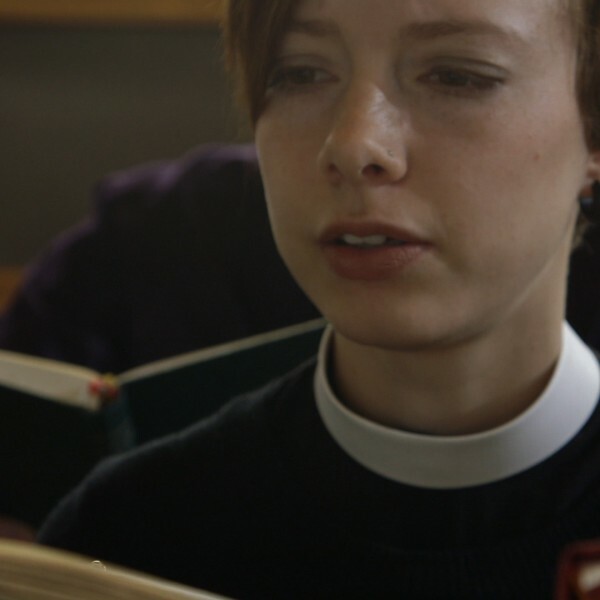 Allison Chubb is a chaplain at the University of Manitoba and an ordained priest in the Anglican Church. She “loiters with intent” on campus, counselling students of all backgrounds. She also connects physically with God through the Christian service of Eucharist in the university chapel that is under her stewardship. Allison is one of approximately 800,000 Christians living in the province of Manitoba. Christians form Canada’s largest religious community, numbering approximately 22 million across Canada (roughly 67% of Canada’s 32 million people). Members of the Anglican Church—one of the many denominations of Christianity—account for 1.6 million of the nation’s Christians. Sonam Tsering is a freelance DJ and community organizer in Toronto, Ontario. Despite his frantic schedule—working in the family store and volunteering in the Tibetan community—he quietly recites Buddhist mantras in the bus with his prayer beads, and makes time to visit the neighbourhood monastery. Sonam is one of Ontario’s 164,000 Buddhists. The province’s Buddhist population is the largest in Canada, representing about 45% of the national Buddhist population of 367,000. Buddhists make up roughly 1% of the overall Canadian population. Jetan Mistry is a mechanical engineer who has grown up in the Swaminarayan Hindu community in the Greater Toronto area in Ontario. The opulent temple near his home is the focal point in his life. In its halls of carved marble, he softens and lays down before sacred images of deities and gurus. Nearly 90% of the province’s Hindu population of 367,000 lives in the Greater Toronto area, and 74% of the nation’s overall Hindu population resides in Ontario. With a national population of 498,000, Hindus make up 1.5% of Canadians. 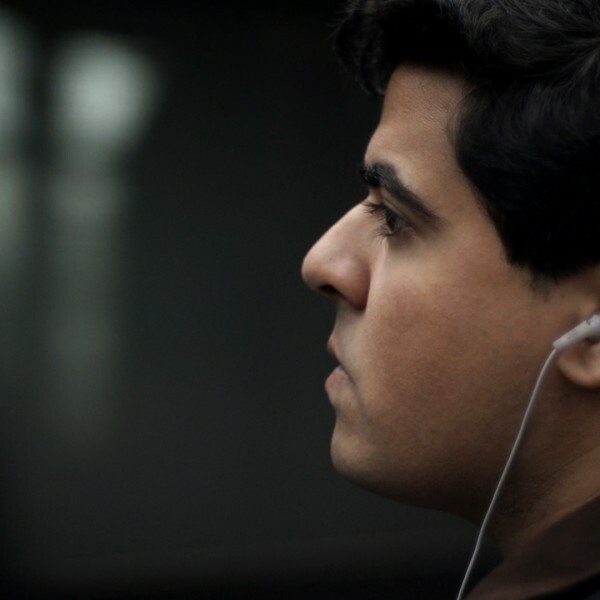 Kashif Pasta is a recent university graduate and a filmmaker from Surrey, British Columbia, a suburb of Vancouver. 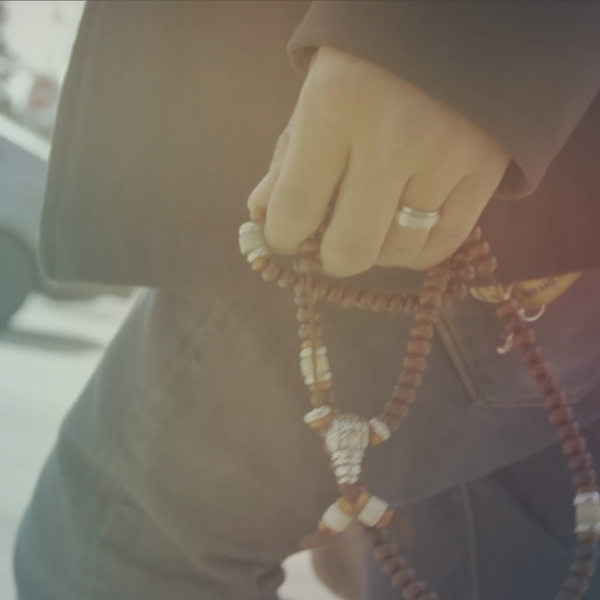 As a young Muslim studying in downtown Vancouver, Kashif struggles to find time and space to perform his daily prayers. He manages to find a quiet spot in a secluded stairwell on campus, even though his focus is interrupted by the occasional passerby. The Greater Vancouver area is home to 73,000 of British Columbia’s 79,000 Muslims. In fact, the majority of Canada’s 1 million Muslims live in the country’s three largest metropolitan areas (Toronto, Montreal and Vancouver). Muslims make up about 3% of the Canadian population. Aviva Chernick is a recording, performing and touring musician, a prayer leader and a teacher of voice and prayer at congregations in and around Toronto, Ontario, and as a guest across North America. She anchors her leadership of Jewish worship through private prayers in her home, combining traditional Jewish practice with mindfulness and chanting. The province of Ontario is home to nearly 60% of Canada’s Jewish population, with approximately 195,000 Jews. The national Jewish population of 329,000 makes up roughly 1% of Canada’s overall population. Preetinder Narang is a behaviour specialist for children with autism, and a Sikh living in the metropolitan area of Vancouver, British Columbia. Preetinder and her husband, Manpreet, perform daily prayers together every evening in the family home her mother designed, a home that was built around their family prayer room. 77% of the province of British Columbia’s Sikh population of 156,000 resides around Vancouver. The province is home to Canada’s largest Sikh population, some 44% of the nation’s 455,000 Sikhs. Sikhs represent about 1.4% of Canada’s population. An overview of demographics, history, places of worship, sacred scriptures, and basic principles of each faith. Additional videos created specifically for classroom use, downloadable study guides, discussion questions, classroom activities and related films and resources. To access NFB Learning Bundles, a subscription to CAMPUS is required. You may already have a subscription to CAMPUS. To find out, go to NFB.ca/campus. For the best experience, we recommend accessing CAMPUS from your computer or laptop. 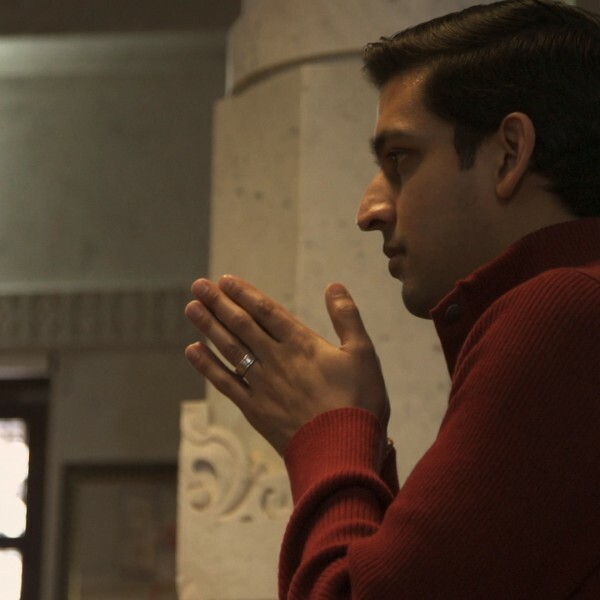 The Faith Project is an interactive documentary featuring evocative short films about prayer in the modern world. 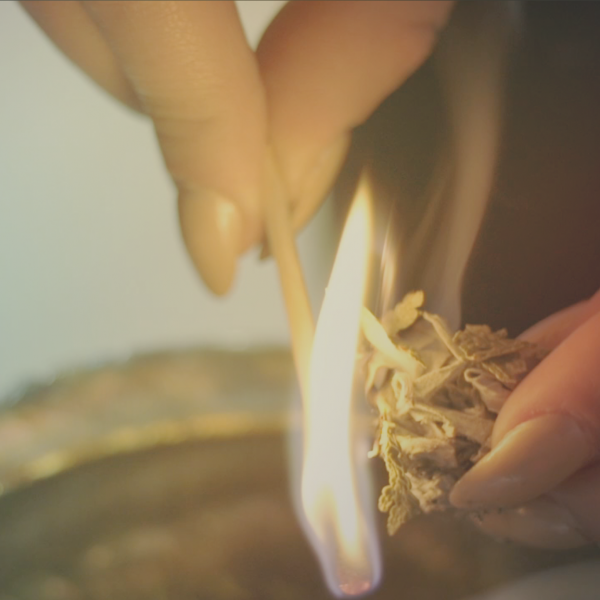 In short documentary stories, young Canadians share the rituals that define their spiritual lives. We go inside the hearts of seven major faiths to inner, personal landscapes that are sacred yet surprisingly accessible. We listen in on the private thoughts and conflicting emotions that swirl in the minds of everyday practitioners. We go past dogma and enter the uniquely Canadian spaces where prayer survives despite distraction, time and temptations. Each film is presented in an epic visual style, and is meant to be meaningful and authentic to the practitioners of that faith—as if they themselves made a film that captured their experience. Despite living in a pluralistic society, we so rarely see—and feel—each other’s sacred moments with such intimacy. Through these films, viewers will gain an intuitive understanding of what it means to be a young person of faith—Aboriginal, Buddhist, Christian, Hindu, Jewish, Muslim, and Sikh—in Canada today. The National Film Board of Canada (NFB) creates groundbreaking interactive works, social-issue documentaries and auteur animation. The NFB has produced over 13,000 productions and won over 5,000 awards, including 9 Canadian Screen Awards, 7 Webbys, 12 Oscars and more than 90 Genies. To access acclaimed NFB content, visit NFB.ca or download its apps for smartphones, tablets and connected TV. The Canadian Race Relations Foundation (CRRF) is Canada’s leading agency dedicated to the elimination of racism and the promotion of harmonious race relations in the country. Created 25 years ago as part of the historic Japanese Canadian Redress Agreement, the Foundation’s governing legislation was proclaimed in 1996, and its doors opened in 1997. Its mission is to provide independent, outspoken national leadership, to inform national policies and public conversations, and to act as a resource and facilitator to advance Canadian identity in the pursuit of positive race relations, equity, fairness, social harmony and dignity for all Canadians. Funded by the Department of Citizenship, Immigration and Multiculturalism Canada, the Interfaith and Belonging initiative is intended to facilitate a national dialogue on interfaith cooperation and communication, promote civic education and engagement, and provide the necessary tools to strengthen belonging. It effectually constructs a national framework for dialogue between and among groups of different ethnocultural and faith-based communities and helps to strengthen their participatory role in Canadian society. Through active participation and engagement of communities, the project promotes Canadian democratic values, diversity, and traditions, and works with communities in understanding our rights and responsibilities and how best to encourage a deeper sense of belonging to Canada. We acknowledge the financial support of the Inter-Action, the Multiculturalism Grants and Contributions Program of Citizenship and Immigration Canada, in the delivery of this project. Go inside the hearts of seven major faiths to inner, personal landscapes that are sacred yet surprisingly accessible. Listen in on the private thoughts and conflicting emotions that swirl in the minds of everyday practitioners. This short documentary examines the unlikely interactions between French-speaking fishermen and Buddhist monks and nuns in a Cape Breton village. Seemingly divided by language, culture and religion, these people share more than meets the eye. The film delicately weaves a connection between the beliefs of the 2 groups, who both regard life as a cycle. In French with English subtitles. This documentary was made as part of the Tremplin program, with the collaboration of Radio-Canada. Using original animation, archival footage and personal interviews, this full-length documentary portrays the multiple relationships Canadian Muslim women entertain with Islam’s place of worship, the mosque. Islam is the fastest growing religion in the world. In North America, a large number of converts are women. Many are drawn to the religion because of its emphasis on social justice and spiritual equality between the sexes. Yet, many mosques force women to pray behind barriers, separate from men, and some do not even permit women to enter the building. 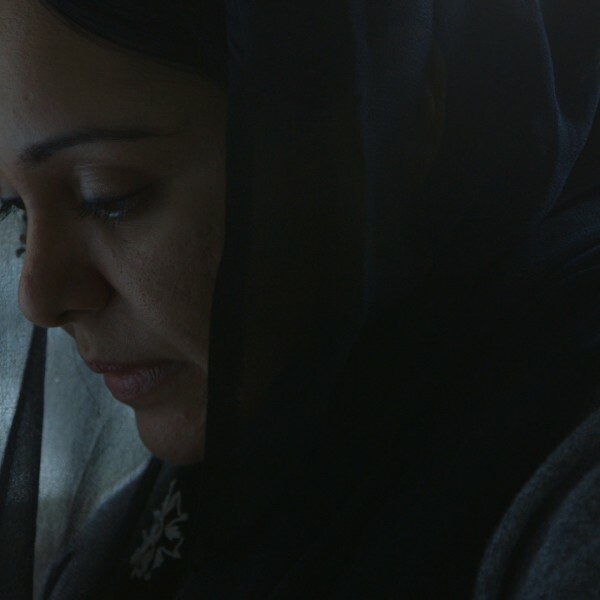 Exploring all sides of the issue, the film examines the space – both physical and social – granted to women in mosques across the country. Me and the Mosque was produced as part of the Reel Diversity Competition for emerging filmmakers of colour. Reel Diversity is a National Film Board of Canada initiative in partnership with CBC Newsworld. This documentary introduces us to Captain Mark Sargent, chaplain to the Canadian peacekeepers (soldiers of the First Battalion, Princess Patricia’s Canadian Light Infantry) stationed in former Yugoslavia. It offers an intimate look at the work of this remarkable man as he travels from bunker to bunker and from village to village, ministering to soldiers and civilians caught in the bloody conflict that has torn apart the Balkans. This feature documentary invites you to partake in a discussion between 4 Egyptian women of different political and religious stripe. Amina, Safynaz, Shahenda and Wedad are Muslim, Christian, or non-religious, but they are first and foremost friends. They listen to one another’s views and argue openly, without ever breaking the bond that unites them. How do we get along with each other when our views collide? A timely question, and a universal one. Four Women of Egypt takes on this challenge, and their confrontation redefines tolerance. This short documentary by Colin Low is an invitation to a gathering of the Blood Indians of Alberta – as the Sun Dance is captured on film for the first time. The film shows how the theme of the circle reflects the bands’ connection to wildlife and also addresses the predicament of the young generation, those who have relinquished their ties with their own culture but have not yet found a firm place in a changing world. This feature documentary records the turbulent history and remarkable achievements of women in religion, from pre-Christian Celtic communities to the radical sisters of the 1980s. The history of nuns mirrors that of all women – in what we are taught about the past, women are almost invisible. Although today’s one million nuns outnumber priests two to one, they still struggle to be heard by the all-male Roman Catholic hierarchy from which they are excluded. In Behind the Veil: Nuns, contemporary nuns speak candidly of their lives, their challenges, and their predecessors.